Become a Facebook Fan by “liking” Rayovac and get $6.00 worth of Rayovac coupons. You should be able to print each coupon twice. 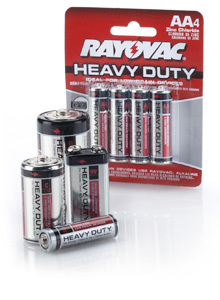 The Rayovac Heavy Duty 4-packs are priced at $0.94 at Walmart, so you can get them FREE after coupon!